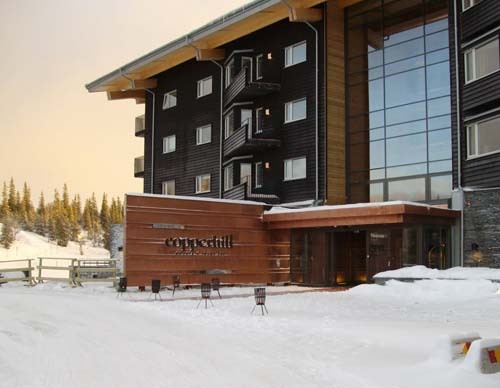 The Copperhill Mountain Lodge is a five-star hotel on the top of the Förberget Mountain in Åre, Sweden. 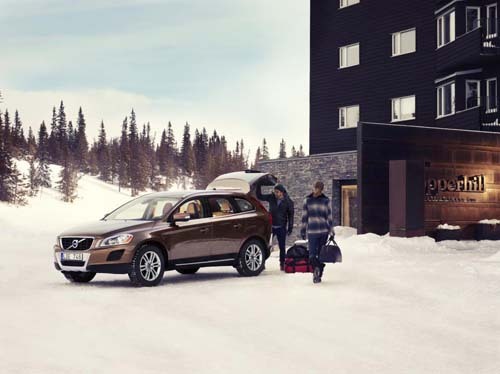 The hotel opened on December 8, 2008, and is currently one of five hotels in Sweden, and the only mountain hotel in Scandinavia referred to as a Design Hotel. The hotel has 112 rooms and suites, with a total of 420 regular beds and 160 extra beds. It is directly connected to the Åre ski area with its own platter lift, the Copperhill Express. The hotel is designed by American architect Peter Bohlin. It was originally supposed to consist of co-op apartments, but there was only little interest from buyers. In September 2007, construction was suspended as the main investor, Vanilla Ventures, had financial problems. Dutch venture capitalists Peter Cat and Frans Scholten later entered the project under condition that Vanilla Ventures dropped out of the project. Since September 2009 the hotel is runned by Nordic Choice Hotels which is owned by Norwegian Petter A Stordalen. 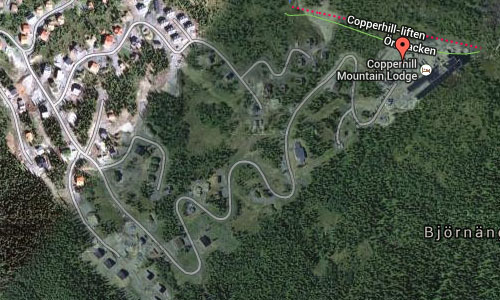 Copperhill Mountain Lodge is a member of Design Hotels™. Åreskutan rests in a trough of copper ore. The first copper finds were made in the middle of the 18th century; mining soon began and was to continue over three centuries. 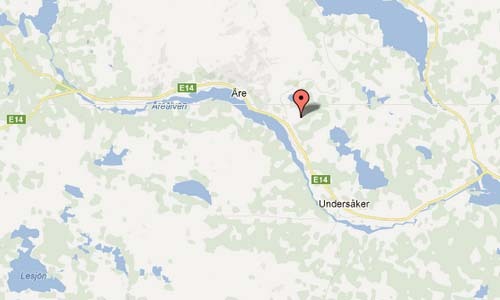 In the Fröå area, on Åreskutan’s eastern slopes, a mining village with almost 200 inhabitants grew and flourished. Gustafsgruvan was the first mine, followed by Drottninggruvan and Carlsgruvan. The last mining period was 1909–1919 and was run by a newly-formed mining company in collaboration with American backers, the Duluth-Huså Copper Mines Company. One can still hear the whispers of history, and places of cultural and historical interest bear witness to an era of gleaming copper, riches and hard work.